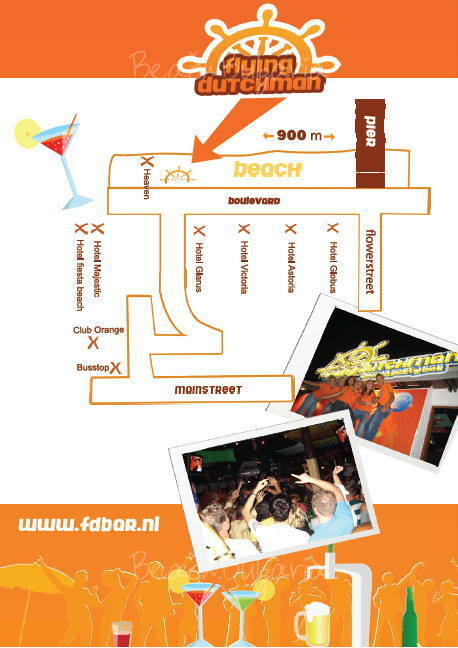 The location of Flying Dutchman beach & party bar is right between the promenade and the beach on the northern part of Sunny Beach. 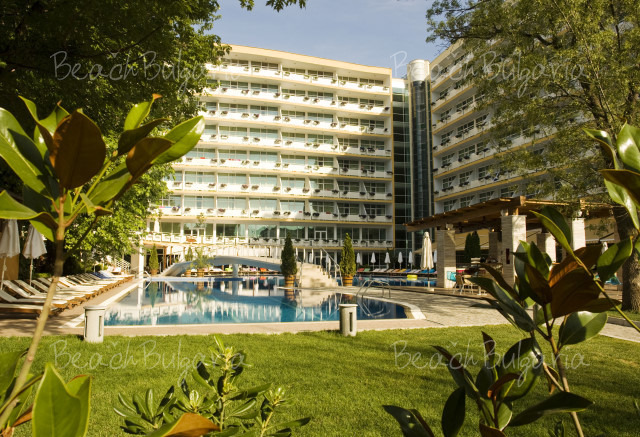 Cosy, spacious and almost 24 hours open, daily from May to September. 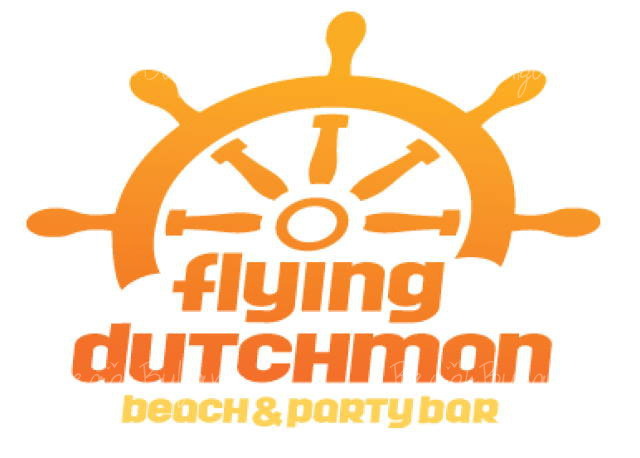 Flying Dutchman bar is renowned for its party nights trademark, feel good vibes, famous shot list and best party crowd of Sunny Beach. Start your holiday at Flying Dutchman bar and you never want to leave!! For reservations, please call: 0887 345 728. 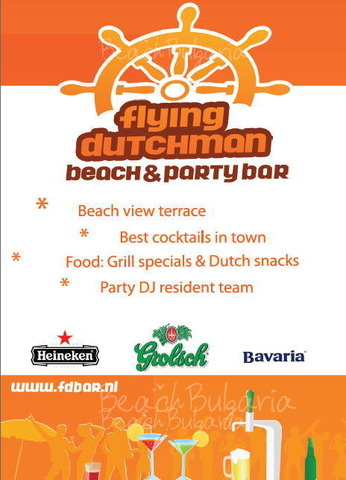 Please, post a comment on Flying Dutchman beach & party bar in Sunny beach.